Myself for the repaints, SAF decals, LAU-142B and LAU-142A AVEL, most Cockpit displays, and added animations. Zephyr for the original F-22 model. 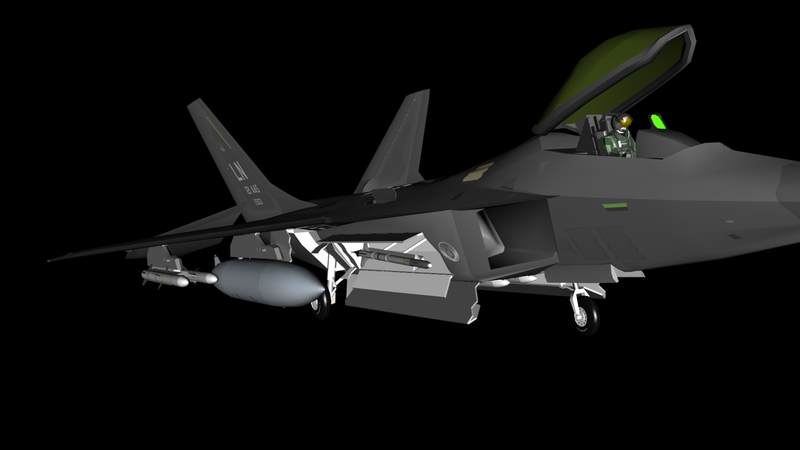 CEP for the Sidewinder, AMRAAM, pylons, and various cockpit details. Darkness of Enigma for the pilot model. Umaibow for parts of the afterburner mesh. You may republish/repaint/modify this and release it so long as you credit both myself (SWIFT) and Zephyr.